Kin + Kindling - Guess who’s back! Hello again to my neglected little blog. I’ve missed you! Life has been busy lately and with everything going on, unfortunately this little space of mine tends to fall to the bottom of the priority pile. Between camping in the mountains, hitting the ground running with running my own business 100% of the time, and that minor detail of taking care of our little ones, I’ve been falling asleep each night with my brain spinning – but with a smile on my face nonetheless! Life is good, you guys. And I’m not taking a single moment of this for granted. ANYWAY. 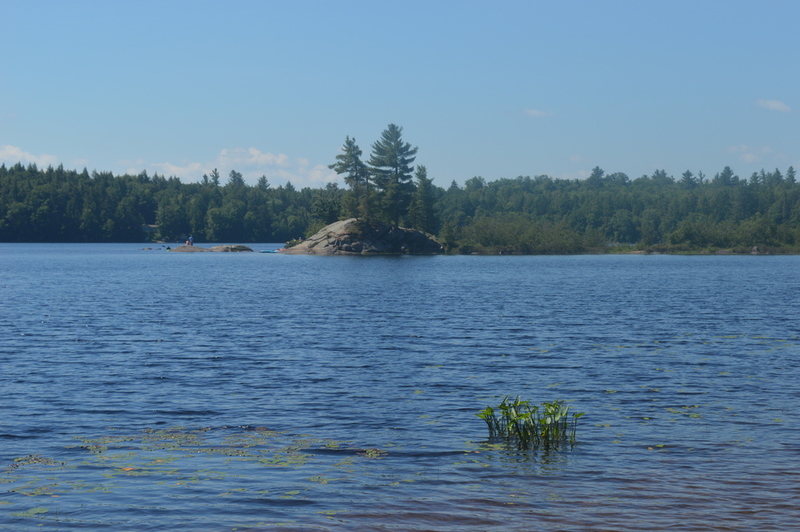 Speaking of camping in the mountains, I have so many photos and memories to share on our recent trip to the Adirondacks! For this post, I’ll stick with one chunk of them so I don’t bore you to death with too many details. 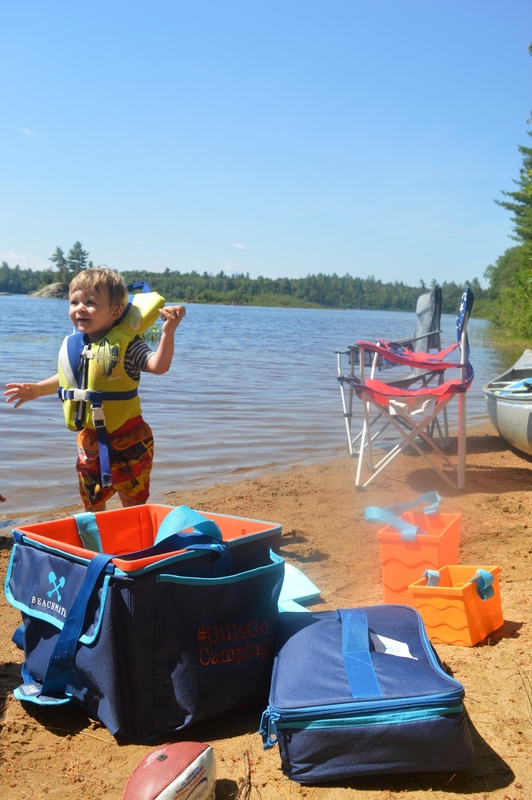 This is one that you’ll want to pay attention to if you’re a parent and frequent the beach (or dirt-covered campgrounds, in our case) – BEACHMATE. This blue tote was a Godsend for our camping adventures this past month and I can’t sing Beachmate’s praises enough! The Beachmate System comes with two large, sturdy shovels; 1 large bucket; 4 small / medium buckets; a cooler bag; the tote with adjustable velcro straps for attaching beach chairs and anything else you can think of; and an optional Turkish Towel that came in real handy for mommy’s sunbathing during nap time! Ever since becoming a parent, having clutter and so. many. things tends to really freak me out. 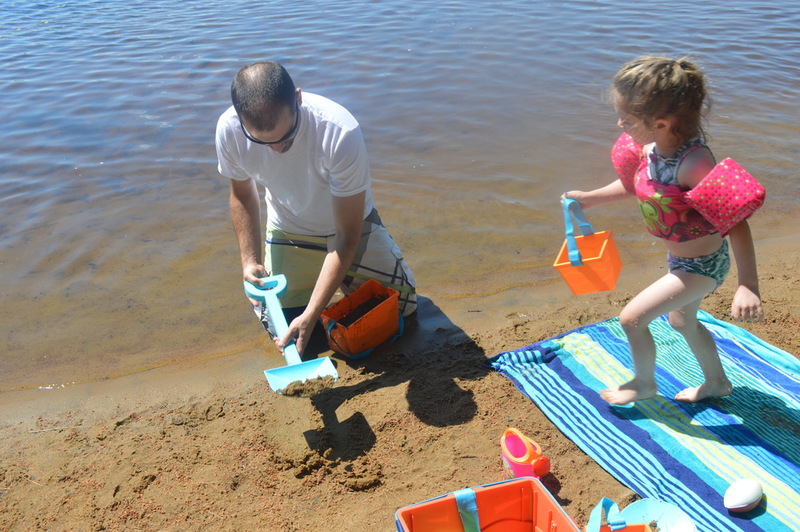 While we had beach toys for the kids, they typically consisted of cheap buckets and shovels from the dollar aisle at the store that would crack and break, not to mention take up a ton of room in our camper. 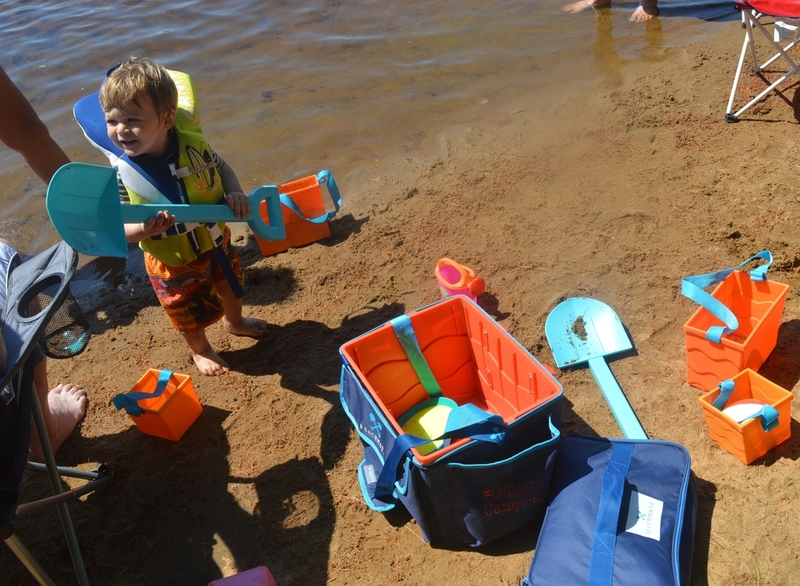 Between snacks, sunscreen, drinks, swimmy diapers, towels, and chairs, the last thing we need when we hit the beach (or lake) is more things to carry. 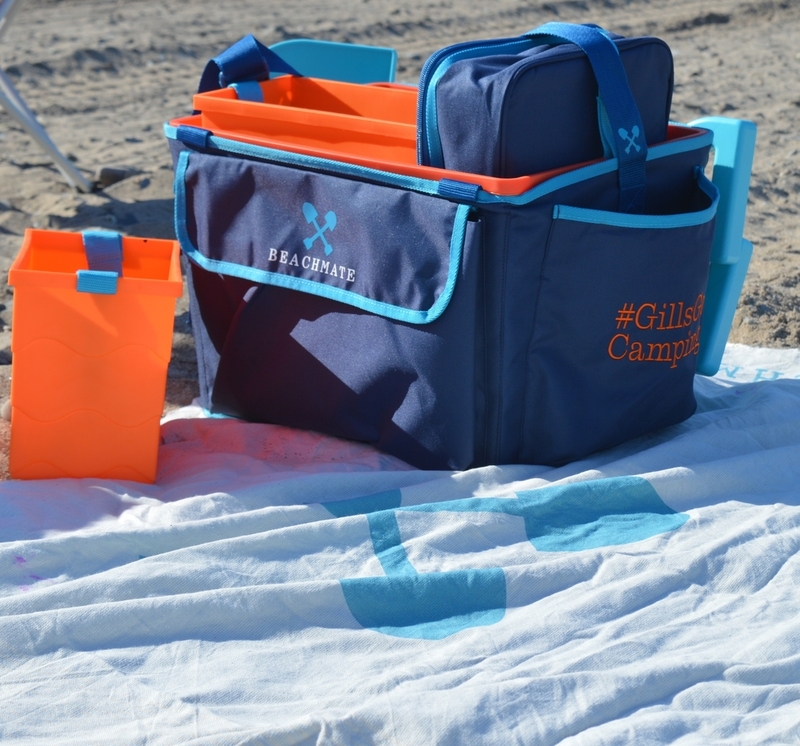 With Beachmate, virtually everything fits nicely INSIDE the tote! Hallelujah, amen. 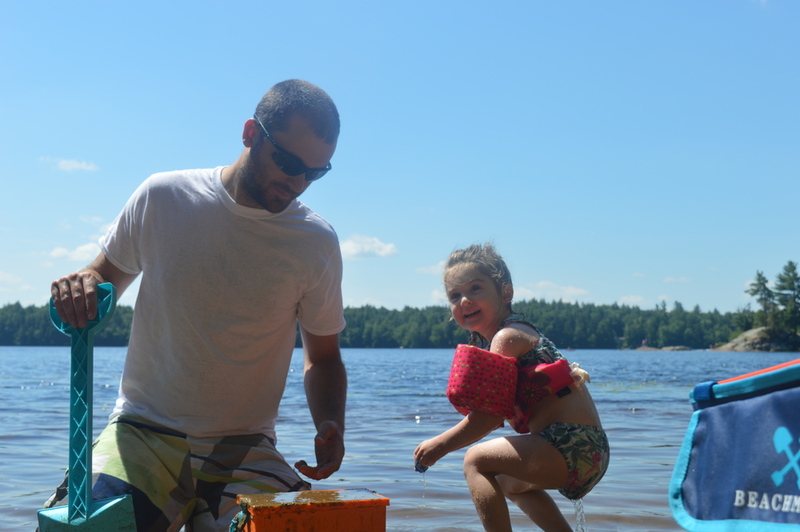 The kids had a blast digging in the sand with their daddy, and the buckets were put to good use with a good old fashioned water war in the lake on a 90 degree day! Special thanks to Beachmate for supplying us with the Beachmate System for review. This will be a camping must-have for many years to come!